Unfortunately, Stieg Larsson passed away shortly before The Girl With the Dragon Tattoo was published. Before he died, he wrote three books featuring these characters. The next book in the series, The Girl Who Played With Fire, will be available on July 28, 2009 (you can pre-order it on Amazon . 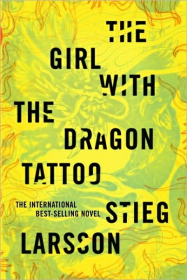 Buy The Girl With the Dragon Tattoo by Stieg Larsson on Amazon by clicking here .